Intrigued by the idea of remote controlling your window coverings? Today it’s easier than ever, and our motorization experts have the tools and the experience to design and install a custom treatment just for you! Protect your interiors against heat loss or solar radiation, while thinking about your children’s safety too. Our motorized shades and window treatments function entirely without cord systems—creating a much safer space for your pets and little ones. At the same time, who doesn’t love the convenience of opening or closing your blinds at the push of a button? Beyond being convenient, a motorized shade or blind could be the difference between operating or just ignoring those hard-to-reach windows in your home. Bring efficiency into your day-to-day operations, by converting your Roman Shades or drapery to a state-of-the-art remote control system, backed by a team of experts here in Oceanside, NY. Choose the powering option that’s perfect for you and your home. When you order a motorized window shade or blind, we’ll work with you to determine whether a hard-wired or battery powered setup is best for you. A hard-wired setup, usually requiring an electrician, is one that our motorization experts handle like real professionals. We’ll ensure that your motorized blinds and all their different motors receive the exact voltage that they need to operate efficiently. Because we care about the aesthetics of your home and our work, we also guarantee a clean and organized installation, minimizing the visiblity of all your wiring. Installing a battery-powered blind or shutter is no small feat; but that's no challenge for our team. We have ample experience designing and installing battery-powered setups that maximize convenience and elegance, in cases like hard-to-reach windows and faraway spaces inside your home. When it’s time to replace the batteries for your motorized blind or shade, any AA or lithium battery will do the trick. 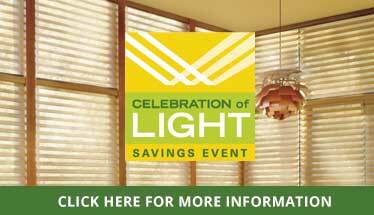 All it takes is a phone call, to discuss and design a motorized window treatment for you and your home!